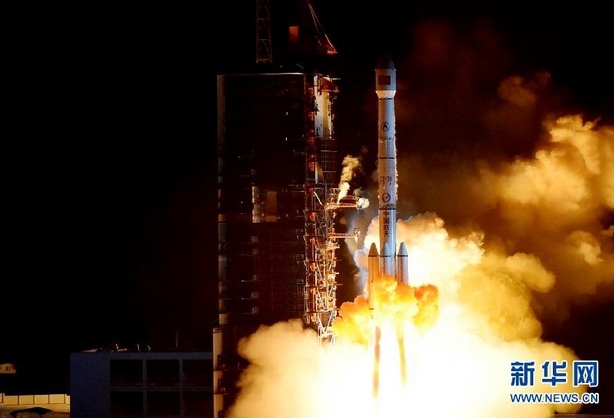 ChinaSat-2C was launched on Tuesday, November 3 from the Xichang Satellite Launch Center and entered a standard Geostationary Transfer Orbit of 194 by 35,832 Kilometers at an inclination of 27.1 degrees in an ascent mission lasting just over 26 minutes. In the official launch announcement it was stated that the satellite would be used to provide TV broadcasting services, but the secrecy associated with this flights’s payload and mission clearly suggest that the satellite will serve a different purpose. The consensus among analysts is that ChinaSat-2C belongs to the second generation of Shentong strategic communications satellites operated by the People’s Liberation Army. The satellite, most likely based on the DFH-4 satellite platform with a launch mass over five metric tons, reportedly carries an all Ku-Band payload to deliver secure voice and data communications between ground terminals. 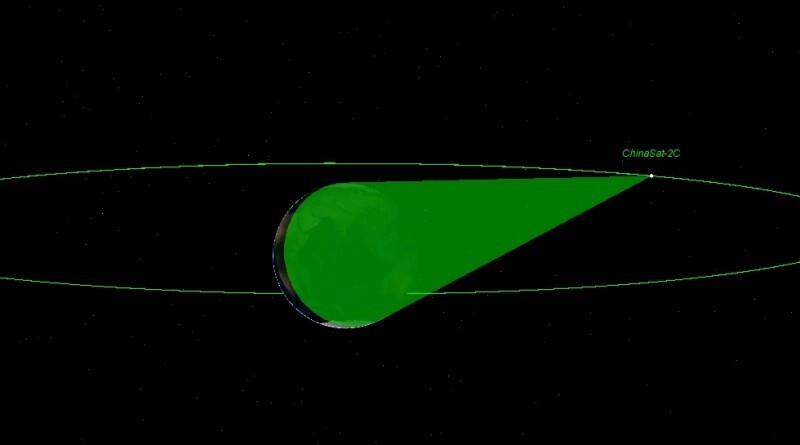 From this position in Geostationary Orbit, the satellite can cover the entire Chinese territory and the strategically relevant Asia-Pacific Region. Its neighbors in Geostationary Orbit are the Chinese Fengyun-2C weather satellite at 104.2°E and the Russian Ekspress AM-3 communications satellite at 103.0°E. The ChinaSat-2C satellite joins the first Shentong-2 spacecraft, ChinaSat-2A, currently stationed at 98.3° along with the Fenghuo tactical communications satellite ChinaSat-1A at 129.9°E.